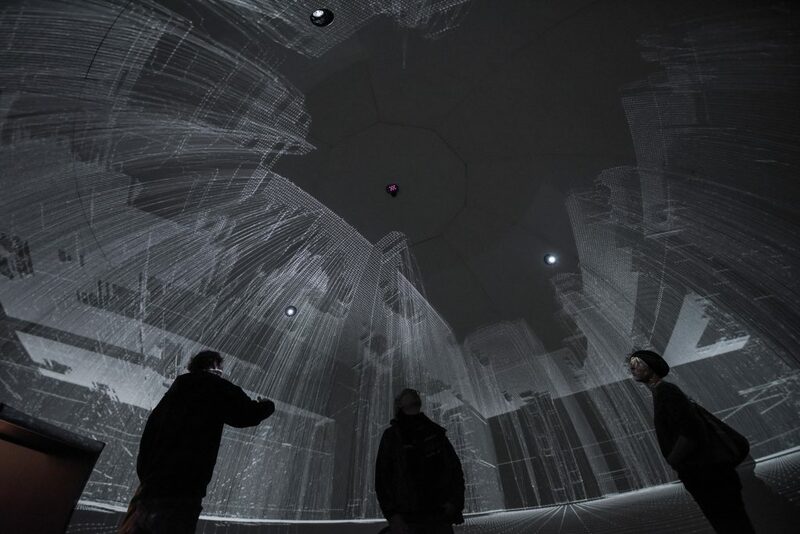 Digitalization has become more than just a “buzzword” in the art industry. It has transformed the work of artists, the curating of exhibitions and has disrupted the whole art market. Alexandra Schantl, curator, author and Head of Collections for Art after 1960 of the Cultural Department of Lower Austria talked to me about this major movement in the arts and her most recent exhibition #fuckreality. Of course, she also shared insights into her personal career path, what you should know about becoming a curator and women in the arts industry. After graduating from high school, Alexandra Schantl’s dream was to work in the field of painting restauration. However, due to her young age, she had to opt for a different course and ended up studying Art History at the University of Vienna. Alexandra always had a big interest in arts and culture. Her parents supported that and her father himself also has a lot of cultural interests – he is an author as well. I asked Alexandra how her parents dealt with her choice of studying art history – a course with prospects of low salaries and precarious work conditions. Even though the course very much focused on classic art, Alexandra’s true passion has always been contemporary art. She pursued this passion with internships alongside her studies (for example in today’s “21er Haus”, a branch of the Belvedere museum) and as an editor for “Die Furche”, a weekly newspaper for society, politics, culture, religion, and economy. In charge of feature articles, she enjoyed a lot of freedom about the coverage of art exhibitions and deepened her knowledge about contemporary art. Later on, Alexandra worked as a project manager for culture in the so-called “industrial district” (Industrieviertel) in the region of Lower Austria (Niederösterreich). Her office was in Bad Fischau, a small town near Wiener Neustadt in the South of Vienna. 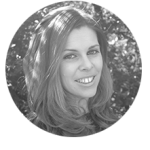 Alexandra was hired to set up and plan the basis of cultural work for the area. She literally set everything up herself: when she arrived, the “office” was an empty room, even without any office furniture. Her job involved everything related to culture, including sponsoring and subsidies. A big part was the folk culture of the region: the cultural activities in small towns. Even though Alexandra enjoyed the variety of tasks, her passion was the local gallery where she featured contemporary artists from the region. Almost naturally, Alexandra managed to transition into her current job at the cultural department of Lower Austria in 2000. Her previous job had enabled her to build up a track record, deepen her knowledge and broaden her network. When the previous person holding the position left temporarily, Alexandra was there at the right time and place. She now is in charge of the purchases and subsidies by the region. “I was lucky that there was a quota for women. At this point in time, women were underrepresented in the field and the cultural department of Lower Austria was looking for a woman.”, she smiles and almost makes us forget that her track record, persistence and hard work were probably (equally) determining factors. Alexandra is the head of collections for art after 1960 of Lower Austria. She covers everything from objective to abstract art, from classic paintings to media installations. Regarding the content, Alexandra enjoys a lot of freedom. The focus of the department is artists who have a relation to the region: either because they were born in Lower Austria, or because they live or work there. In yearly sessions, a committee examines and decides about the purchasing of works of certain artists. These artists will then be visited by Alexandra and her colleagues and they determine which works will be acquired for the collection. This led us to discuss the dillemma of a lot of students, especially in the art sector, of being pushed into unpaid internships. According to Alexandra, the problem is a natural one: when we are young and start out we lack a track record. There are many art historians and aspiring curators and, consequently, there is a lot of competition. Students not only compete among themselves but also with people with a lot of experience. In an industry like art, notorious for low salaries, we both agreed that it is unrealistic to expect your dream salary when you start out. Therefore, there is probably no way around unpaid internships to build up a competitive track record. 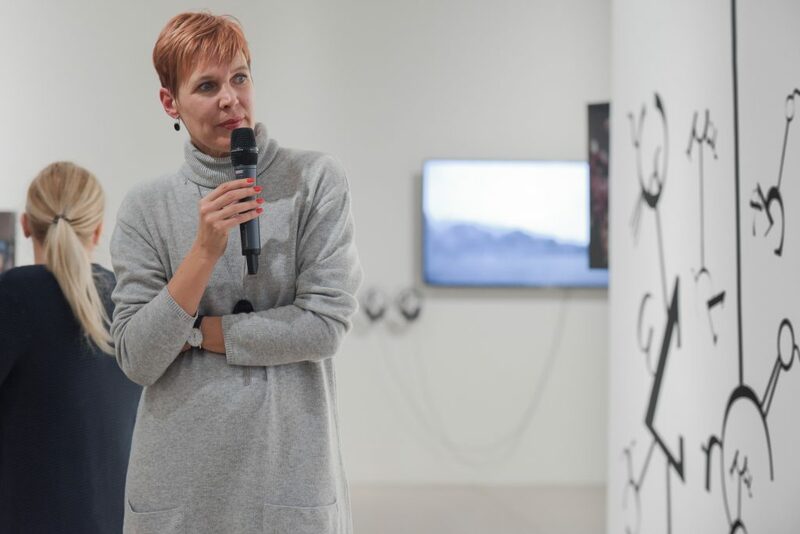 When it comes to the Austrian art scene, Alexandra emphasizes that we need to distinguish between what goes on in Vienna and what happens outside. Vienna has a very active contemporary art scene which has become more and more attractive and competitive at an international level. However, in the smaller towns, contemporary art can be tough. Alexandra agreed that the environment has changed a lot. The “typical” exhibition visitor very often belongs to the older age brackets. It is tough to motivate young people for contemporary art. Another reason is that arts and culture have received less attention in schools. Pupils are supposed to be prepared with “more hands-on” subjects for the labour market. Social media may help to overcome the barriers. However, it needs to be used in the right way to avoid addressing the crowd which is already perceptive towards the arts. I added that I very often feel left out in the art world. Even though I have a strong interest in art, I feel out of place at most of the events. I dress and talk differently, sometimes my views are considered “too mainstream”. I asked Alexandra if the art scene itself has contributed to its negative perception as being elitist as well? 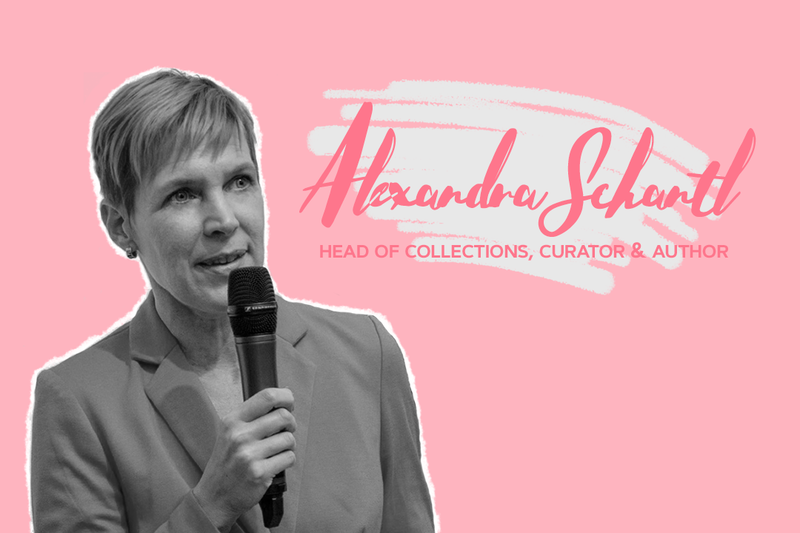 In addition to being Head of Collections, Alexandra also is an author and a curator. Her latest project, the exhibition #fuckreality in Vienna obviously managed to overcome common barriers and successfully attracted a big and diverse crowd of visitors. 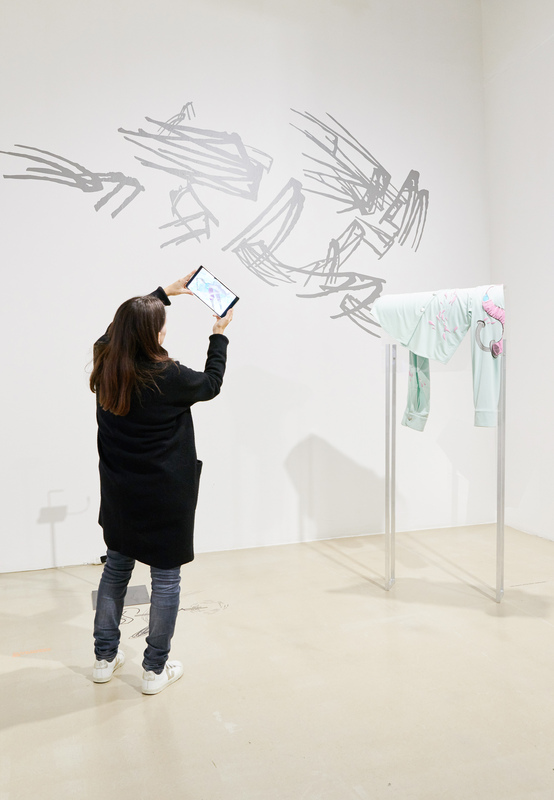 Only digital artworks using augmented or virtual reality were involved in the exhibition. 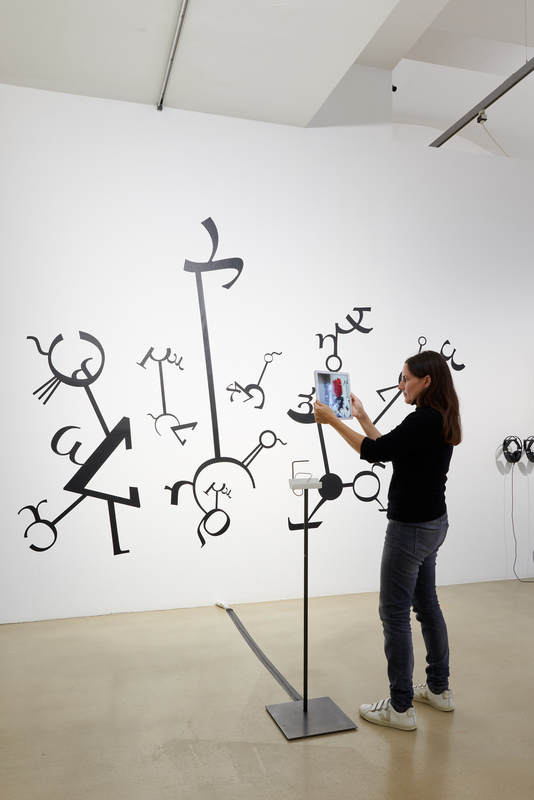 Visitors had to actively engage with the works – otherwise, they could not see any results. While there have been many successful exhibitions of this kind in Germany, #fuckreality was the first of its kind in Austria. 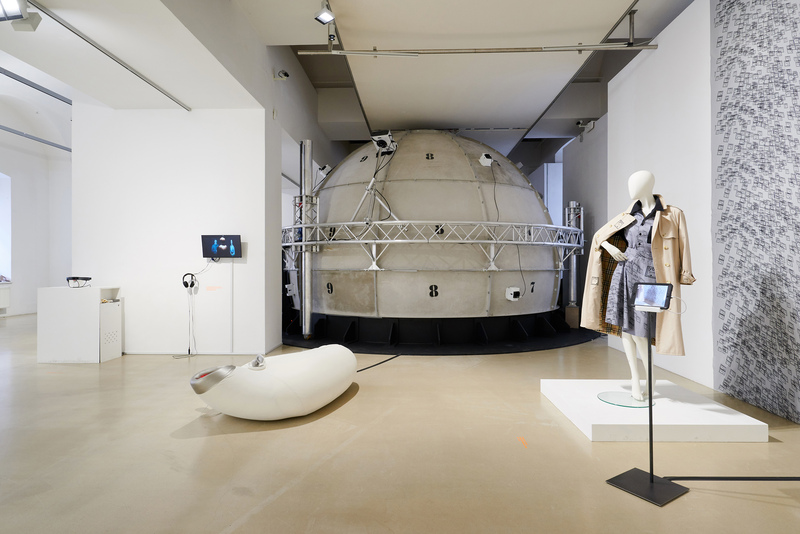 Alexandra developed the exhibition in a team with two other curators – Ruth Schnell, head of the Institute of Digital Arts of the University of Applied Arts in Vienna, and Martin Kusch, lecturer at the same institute. Both not only teach arts but also are artists themselves. As there is no market per se for digital artworks, the curatorial team decided to make a call for applications among the class for Digital Arts. Some of the works had existed before the call, some were adapted and some were made especially for the exhibition. 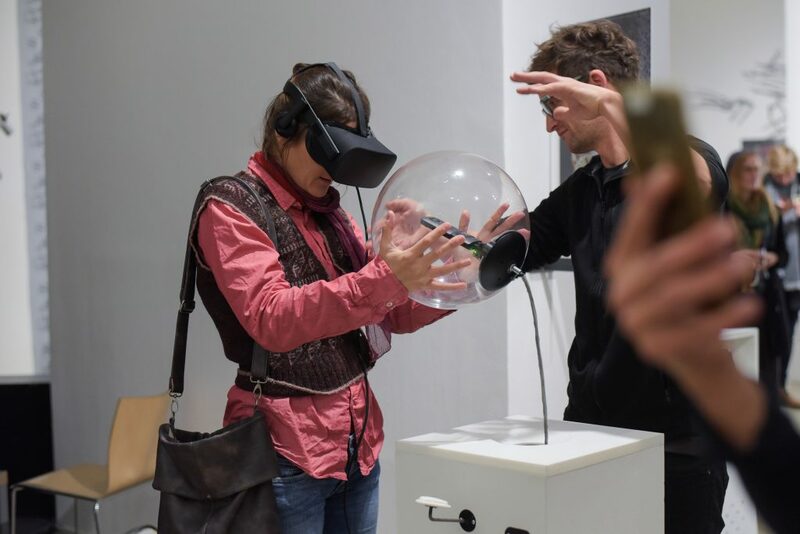 Digitalization has become a major force in the arts along a broad spectrum: on one extreme, artists work with digital technologies and actively involve them in their artworks. At the other end of the spectrum, photographers have embraced digital photography. Needless to say, digitalization has affected the daily ways of communication of artists. Apart from these obvious developments, Alexandra mentioned the developments in the gallery sector: online auctions and galleries have disrupted the scene forcing established organisations to rethink their positioning. 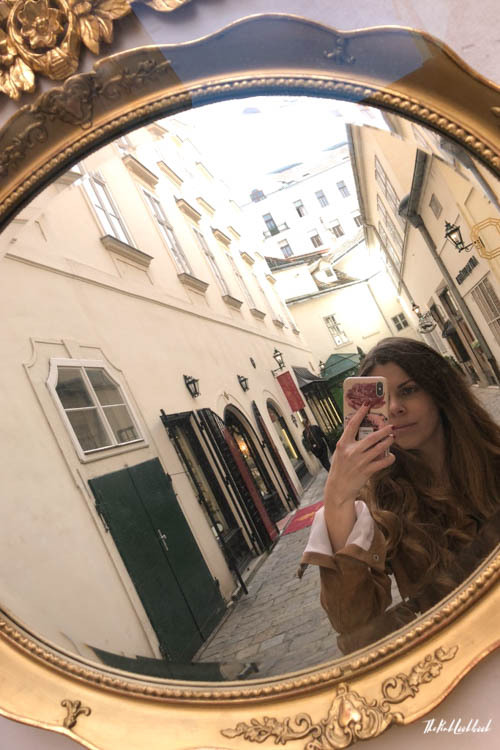 Nevertheless, Alexandra also sees that even though some “traditional” galleries have closed down, there are quite a few new galleries in Vienna which have established themselves well. Obviously, those address a different target audience.